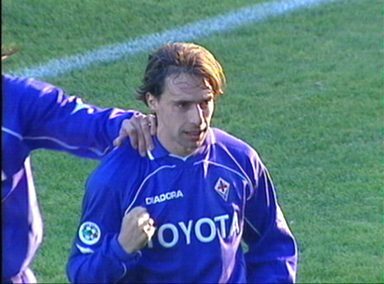 Former Italy international Enrico Chiesa is now in charge of Torino Primavera. Torino remain top of the table and the only unbeaten team in Group A after they narrowly defeated Sampdoria over the weekend. Despite the result, Sampdoria showed one of the brightest performances they have recorded so far this season and coach Enrico Chiesa said that they will rise from their current 11th place, insisting the team is only getting better and better. He said: “Another game played really well, one of the best we’ve played. I have to congratulate the boys, of course when you lose there is always an explanation you have to score goals. Torino goalkeeper made ​​two miracles. This does not mean the growth of children, we must continue to work and improve in these situations. Sassuolo 0-1 Empoli, Spezia 0-0 Siena, Bologna 1-0 Cesena, Sampdoria 0-1 Torino, Parma 3-3 Carpi, Modena 2-0 Novara, Juventus 2-1 Genoa. Atalanta inflicted Cittadella’s fourth defeat of the season as the former sit bottom of the table with zero points to their name. Atalanta meanwhile are flying high in second place, equal on points with Chievo, who thrashed Virtus Lanciano in their respective fixture this weekend. Cittadella went ahead early on before two goals from Faisal Bangal put them back in the game and earned all three points. Flippo Inzaghi said: “I am very happy with the performance, we played very well!” after he saw his AC Milan side beat Cagliari by three goals at home. David Pacifico, Davide Del Molfatto and Maks Barisic were all on the scoresheet for Milan, who take on Ajax in the UEFA Youth League on Wednesday. AC Milan 3-0 Cagliari, Pescara 3-0 Padova, Ternana 2-2 Varese, Chievo 6-0 Virtus Lanciano, Brescia 1-1 Verona, Atalanta 2-1 Cittadella, Udinese 0-1 Inter Milan. It’s Roma who have the only perfect record in the league after five games as they beat Trapani 4-0 at the weekend. Lorenzo Musta grabbed a hat-trick for Rudi Garcia’s side and goals from Mihai Balasa, Simone Battaglia and Daniele Verde completed the win. Fiorentina remain chasing Roma in second place after they beat second-bottom Juve Stabia 3-1 away from home. Reggina 0-0 Napoli, Palermo 1-2 Catania, Trapani 0-4 Roma, Juve Stabia 1-3 Fiorentina, Bari 1-2 Latina, Avellino 2-3 Crotone.